Every year, Fort Myers Beach goes green and everyone’s Irish for the day! 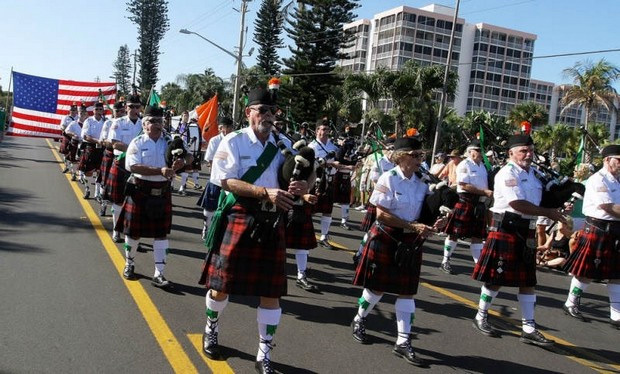 Join us for the Annual “Town of Fort Myers Beach St. Patrick’s Day Parade”.Event goers can expect to see color guards, floats, musical bands and civic, business, and neighborhood groups as well as the Lee County Pipe and Drum Corps involved in the ceremonial occasion which honors Saint Patrick, the patron saint of Ireland. The parade traditionally starts at 10am from Santini Marina Plaza.